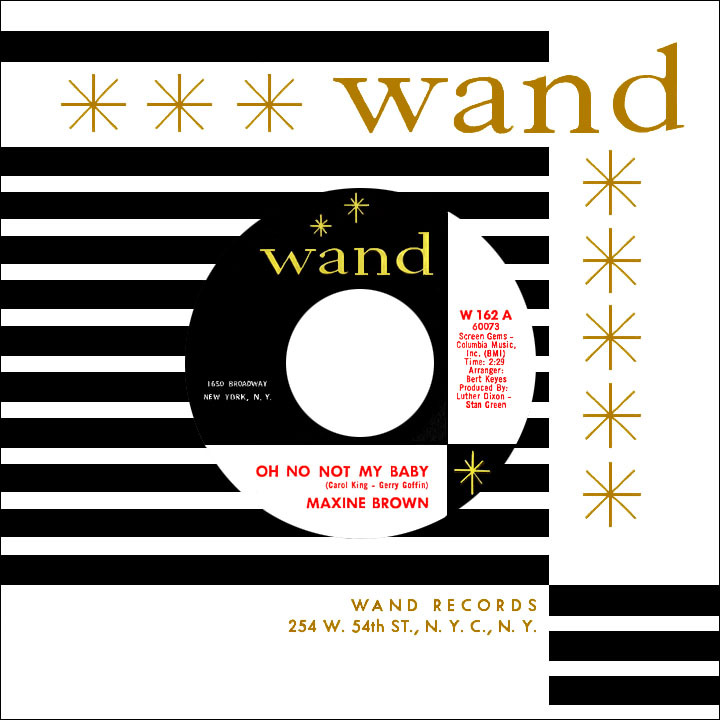 Sweet soul songstress Maxine Brown established herself quite easily through a right place-right time set of events, only to discover how challenging it would be to maintain anything close to the level of what she achieved in 1961, her first full year in music's major leagues. Though "All in My Mind" and "Funny," both of which she had a hand in writing, made for a high-profile introduction to music fans, subsequent single releases were usually composed by more seasoned songwriters but were oddly more of a hard sell. The end result was a full decade of performing for sizeable audiences in different (not always top-billed) situations while occasionally showing up on the national charts. Kingstree, South Carolina was Maxine's birthplace in 1939, but by the age of nine she and her mother had moved to Queens, New York (a better way of putting it would be they fled from her father, who was abusive past the point of tolerance); she had a brother who stayed behind. Maxine was 17 when her mother died in 1957 at just 34 years of age. She had already begun singing gospel music with three close friends and as The Angelaires they performed at area churches and backed well-known gospel singer and minister Professor Charles Taylor. At 18 Maxine moved to Manhattan and, with little experience, managed to talk her way into a job as a medical stenographer at Kings County Hospital in Brooklyn, learning as she went and becoming quite proficient. She joined a Manhattan-based gospel group with the too-obvious name The Manhattans (not the successful soul group from New Jersey); later, the act went secular and with only two male singers and Maxine, they became The Treys. 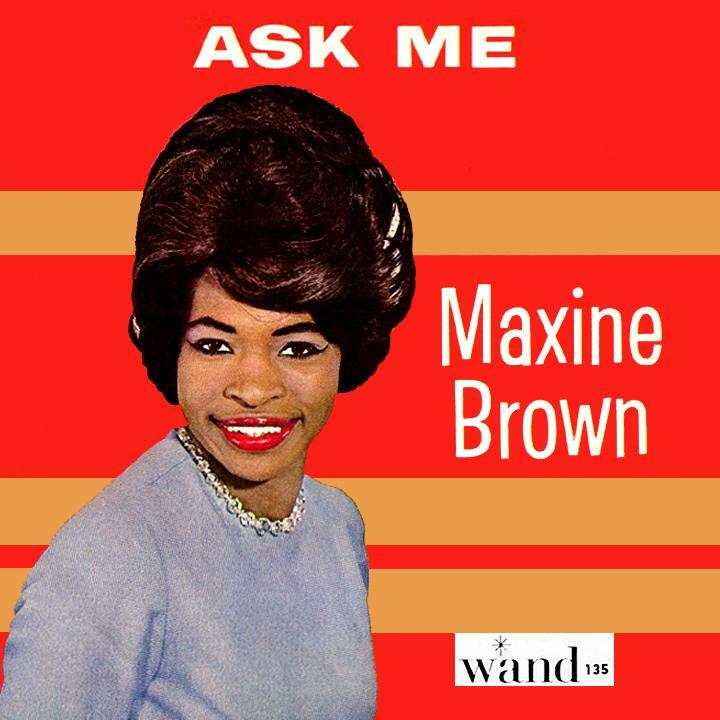 Leader Fred Johnson suggested a lyric, "Maybe it's all in my mind," which Maxine expanded into a full song; after some time had passed, she made a demonstration recording and Fred sent it around, hoping someone might make a "real" recording of it. In the fall of 1960, Tony Bruno, who'd started the Nomar label with financial help from mob members, heard the demo and released it as-is. WABC in N.Y. jumped on Maxine's not-so-unpolished demo and competing stations quickly followed suit. By early 1961, "All in My Mind" (slightly more economical title) was going strong nationally, reached the top 20 on the pop charts and got as high as number two R&B while fending off cover versions by Linda Hopkins on Brunswick (with an arrangement similar to the original), Terri Anders on Chief (she had a Kathy Young sound) and Bobby Marchan on Fire (featuring his trademark, an ad-libbed spoken passage). Brown shared writer credit with Johnson, who'd suggested the original line, and bandleader-arranger Leroy Kirkland. The surprise hit forced Maxine to decide between the security of a job most women her age would die for and a career in the frequently-fickle music business. She had to take her shot; she chose the latter. Alabama-born guitarist Sam Taylor cowrote "Funny" with Maxine, which made her two-for-two in the hit department when it climbed into the pop top 30 in April 1961 and R&B top ten in May. After a third Nomar single, "Heaven in Your Arms," strangely failed to generate any interest, she sensibly accepted an offer from ABC-Paramount (Bruno also got some money out of the deal), releasing eight singles there over the next year and a half. Taylor's "Think of Me" and "After All We've Been Through" (written by Bobby Stevenson) retained the feel of her two big hits, so the uptempo "I Got a Funny Kind of Feeling" came as a welcome change, but nothing made much impact. "My Time For Cryin'," a Bob Crewe-Sid Bass ballad, was the only chart single during her time at ABC. 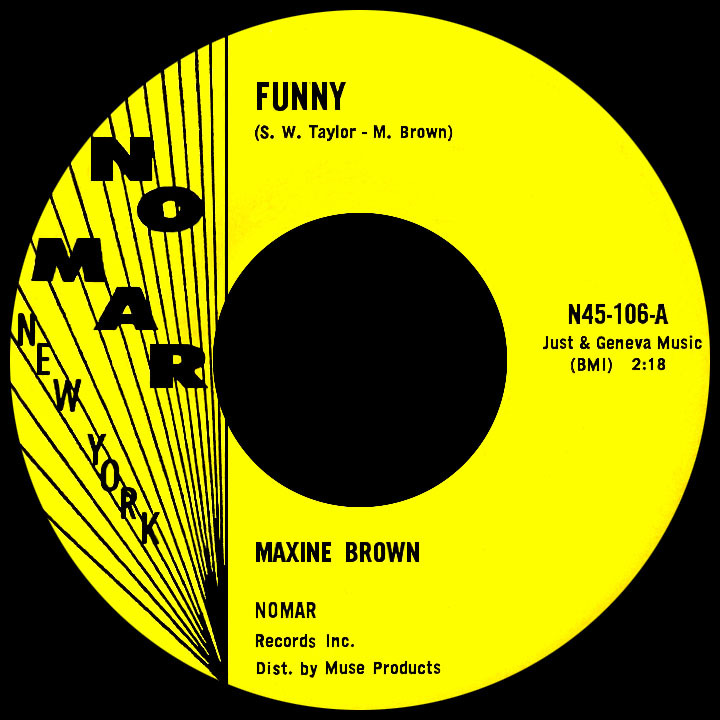 Florence Greenberg and Luther Dixon of New York's Scepter Records had been fans of the "Funny" girl and, in the wake of Dionne Warwick's early '63 "Don't Make Me Over" breakthrough, figured they could work a similar spell with Maxine. She signed with the company and appeared on its Wand subsidiary, hitting the charts right off with "Ask Me," a well-produced vocal tour-de-force. Yet where sales and airplay were concerned, she seemed to hit a barrier not unlike the one that plagued her at ABC. The situation improved in the fall of 1964 when an opportunity to do vocals on a track The Shirelles had struggled with presented itself; "Oh No Not My Baby," a tale of trust and denial by Gerry Goffin and Carole King, returned her to the top 40 after more than three years and sent her back to number two R&B (held at bay by Scepter/Wand labelmate Warwick's "Reach Out For Me"). A few months later in England, Manfred Mann revealed a preference for Maxine's material with a hit cover of the song. Carole lent her personal touch on another Goffin-King track, "It's Gonna Be Alright," a mid-chart effort in early '65. Prompted by Marvin Gaye's Motown duets with Mary Wells and Kim Weston, Flo G. matched Maxine with Wand star Chuck Jackson on the Chris Kenner tune "Something You Got," solid sellers the previous year for singer Alvin Robinson and jazz instrumentalists The Ramsey Lewis Trio; in May the duet landed in the R&B top ten, which jump-started a three-year partnership between Chuck and Maxine that included charting versions of the Sam and Dave smash "Hold on I'm Coming" and the Shep and the Limelites classic "Daddy's Home." Working consistently throughout the remainder of the '60s, Brown enjoyed minor hits with "One Step at a Time" (the song was penned by Nick Ashford, Valerie Simpson and Jo Armstead, who also supplied Chuck and Maxine with the early '66 gem "I'm Satisfied," both tracks produced by experts in amour Nick and Val) and the definitive female interpretation of Rudy Clark's "If You Gotta Make a Fool of Somebody," the great '62 hit by James Ray. 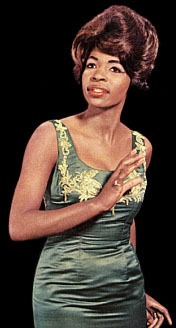 A particularly moving performance by Maxine can be heard on the 1966 Paul Vance-Lee Pockriss ballad "I Don't Need Anything." 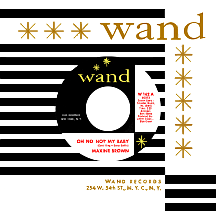 1967 found Miss Brown at the end of her association with Scepter/Wand; when Marvin Gaye's most popular duet partner Tammi Terrell collapsed onstage in October, Maxine filled in for her during a week's engagement with Gaye at Harlem's Apollo Theater. Several sessions that year under Otis Redding's direction at the FAME studio in Muscle Shoals, Alabama seemed to be leading her towards a contract with Stax/Volt and some southern-infused material, but with Redding's tragic death in December, those recordings were shelved. A live summer '67 concert in Central Park in which she starred with Lou Rawls and Ramsey Lewis was released by Capitol (on its Music Images label) the following spring, around the time she went to Epic Records for a couple of singles produced by former Motown saxophonist Andrew "Mike" Terry. In 1969, Maxine gave one of her strongest emotional performances on "We'll Cry Together," a top 20 R&B hit on Commonwealth United (balladeer Lenny Welch was also on the label); the midtempo "I Can Get Along Without You" was her chart swan song in April 1970. A short-lived stint with Avco Records teamed her with the likes of writer-producers Van McCoy and Tony Camillo in 1971 and '72; her signature sound is intact on the single "Make Love to Me," while "Treat Me Like a Lady" hinted at a disco direction (which she was not particularly comfortable with) that never developed. After leaving Avco, she decided to expand her skillset by taking acting and dance lessons. She later replaced "Light My Fire" singer Rhetta Hughes in the Broadway musical Don't Bother Me, I Can't Cope, directed by Vinnette Carroll, the first black woman in Broadway history to achieve such a distinction. Eventually Maxine left the business for a less hectic lifestyle that didn't remain that way for long. Fans in England discovered her brilliance as a vocalist and that interest spread to other parts of the world. Maxine Brown resumed performing and just kept on going.